What’s For Supper? Something Easy! Peppers & Pork! Let me start off by saying that I’m not chef by any means. 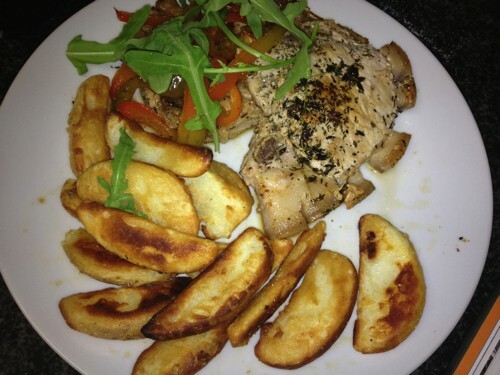 But as you can tell from BCTCBlog I do love food and have a keen interest in learning more about it. Food is such a massively diverse and deep topic that I sometimes feel is an impossible mountain to climb. I also know that doing is the best way to learn. So whenever I see an easy enough recipe, I keep it and give it a go. I was given Gordon Ramsay’s Ultimate Cookery Course book for my birthday and it’s just started on DSTV! So each week I sit with the book and follow the recipes on tele. Last week was the pork chop and red pepper recipe which seemed easy enough so I tried it last night. I bought the chops at the B&P Pick N Pay in Newlands! 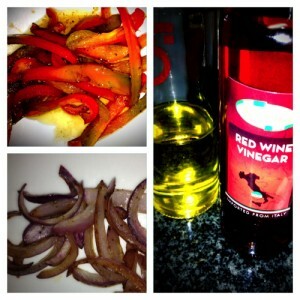 For about R27 for 2 so it’s inexpensive and easy. I halved the recipe as I was cooking for 2 not 4. Then add 1 tablespoon (tbsp) of caster sugar. Decant into another bowl & sprinkle with olive oil (I did this but I doubt the meal needs any extra fat!). 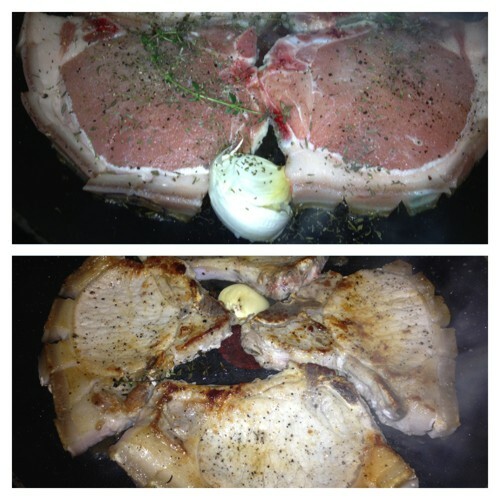 Season the pork chops with salt & pepper & push seasoning into chops. Put chops, garlic (crushed clove) & thyme into pan. Add a knob of butter and baste over chops to keep them moist. Original Recipe by Gordon Ramsay.